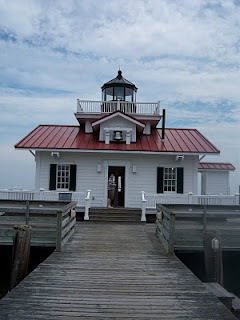 We took a day trip down to Manteo to check things out, get a feel for the pier and lighthouse, and pop into Adrianna's. 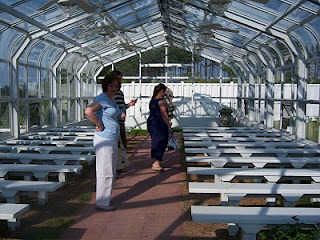 We went to visit on a day that they were setting up for another wedding so we could see first hand how things were done. 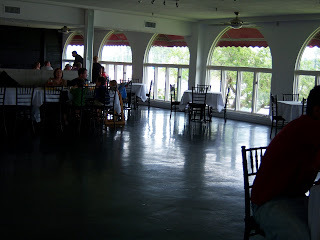 Below are some of the pictures of our trip and another person's wedding reception. 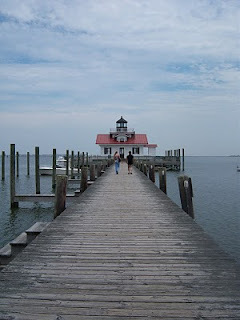 Check out how long that pier is! The "wedding aisle" is insanely long - at least the photographer will plenty of time to snap pictures of everyone! Wedding set up. This girl's colors were pink and blue. You wouldn't believe how much she spent on flowers I LOVE the dark brown wooden chairs - saves me from having to buy bows to tie onto the backs! The set up at the bar. If you look closely in the mirror you'll see Andrew sitting there talking with the owner of the restaurant and drinking a beer. Why was I not surprised he went straight for the bar??? It's a little dark, but this is the dance floor. We won't have the tables in the back because we won't have that many people, so this whole area will be cleared and table free. Lots of room for booty shaking! 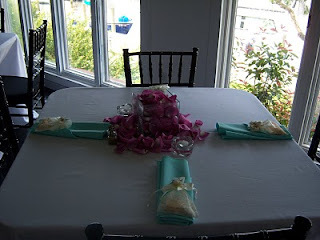 The tables set up with the favors. 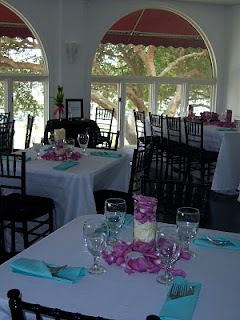 I really liked the use of flower petals with the centerpieces. 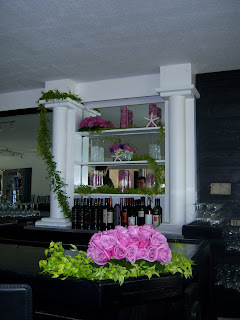 We are going to purchase about 6 dozen roses and pop the petals off ourselves for the centerpiece designs. Working on a budget! 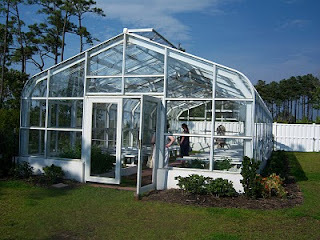 The Glass Chapel. This is our rain backup. If it rains and we can't get married on the pier we come here. The inside of the glass chapel. That's my mama in light blue and Andrew's mom in the darker blue. I was pleasantly surprised with this chapel, I won't be too upset if we have to get married here. We went to the Bridal Open House in November where we selected our dinner menus, centerpiece displays, cake design and flavors, and met the DJ. But that is for a future blog!